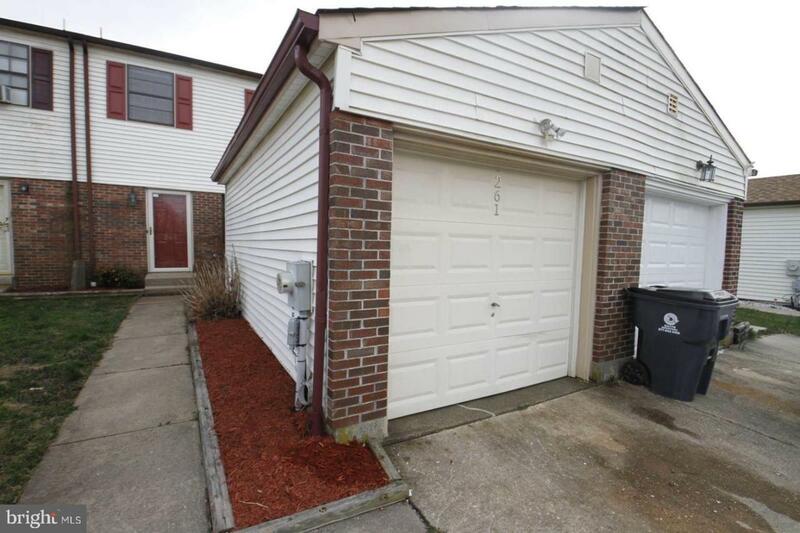 Beautiful 3 Bedrooms, 2 Bath Townhouse. Spacious living room with french doors and dinning area with modern light fixtures. Bright and airy updated kitchen with new tiled floor, cabinets, counter-tops and stainless steel appliances. Also a powder room on main level. Upstairs features 3 bathrooms. Master bedroom with dual closets and attached upgraded bathroom. Second and third bedroom with ceiling fan and sliding mirror closet doors. Some of the upgrades include fresh paint throughout the house with laminate flooring, New HVAC system, Bathroom Vanity, toilets, new garage roof and storm door. Full basement can be finished for play area. Nice backyard enclosed with privacy fence. Single car garage with garage opener. Community Park and additional parking spaces across the street. Within close distance to RT 896, I-95 and Shopping Malls. Welcome to your new home!